courtesy LOLOI The area rug brightens up the space in this simply furnished room. 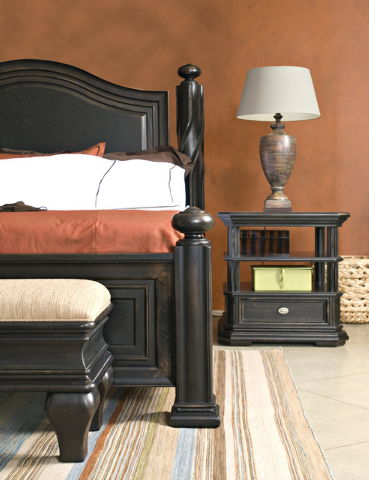 Courtesy Stanley Furniture This bedroom includes an area rug to highlight the bed and keep the feet warm. We certainly do cause things to happen in our spaces. Just ask any designer. Some good. Some not so good. Some things are easy to decide and others not so much. One thing we all have in our spaces are floors and one decision that causes a lot of frustration for us is what in the world are we going to do with the floors? 2015 will be my 10th year of doing this column and hopefully regaling my readers with fun and interesting ideas for our living spaces. When we first started the column it was a question-and-answer format, and I decided today to revisit one of my most frequently asked questions — the first one for Inside Spaces — and, yes, it was about floors. Now, for those of us who live in Las Vegas, tile floors are a very common component in our homes. I guess it has something to do with the fact that it’s hot here. But, seriously, tile or marble floors, even hardwood, work well here in the desert and help keep us cool in the summer. And folks are not as inclined to carpet entire homes — some will still do bedrooms but, mostly, uncarpeted homes rule. I love the look and ambiance of tile, hardwood or marble floors, but I also love area rugs. I agree with putting carpet in bedrooms, but I prefer bare floors in other living spaces. However, as appealing as the floors are, in my opinion, area rugs are essential. Tile or hardwood floors are beautiful and practical, but you must have area rugs to make them more usable and comfortable. Although you want to show off your floors, rugs finish off the room and make the floors more “homey” and add much needed warmth when it’s not 100 degrees here. Using an area rug accomplishes many things. Besides adding warmth, an area rug’s texture and color will enhance your overall decor. Having a bare floor, regardless of how beautiful it may be, it just not very inviting. By choosing colors that complement furnishings, wall color and fabrics in the room, the rug will tie the entire scheme together and make the room much more cohesive. n If you are starting from scratch with your furniture, you might start with a large area rug for your largest room and use that as your inspiration for the rest of the room. n Hearing shoes clomp around on bare floors is not a pleasant sound. Rugs will soften that sound while protecting your floors. Rugs are also great dirt-catchers when placed in entryways, keeping dirt from being tracked throughout your home. n Rugs are also versatile. It’s lovely to have a wool or silk rug in the winter, and switch it out for sisal or coir in the summer. Using rugs gives you a lot of versatility in your space, and can provide almost any mood you wish. n Area rugs also ground your space and pull seating and dining areas together. Placing an area rug within the sofa/chair configuration will add the finishing touch and make it a true conversation area. n Different patterns, textures and colors can certainly be used in the same room. There should be something to tie them together — probably color that can be found in each rug. n Different areas of the home require different shapes. 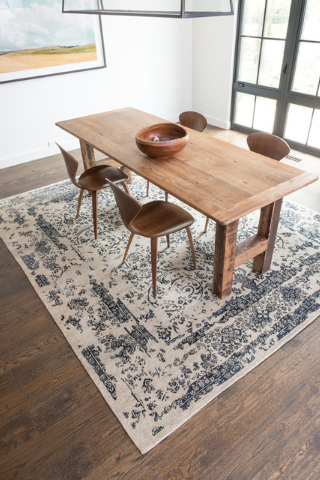 A seating area or a dining table would most likely look best with a square or rectangle rug. An oval rug would soften the area a little more. n Hallways or kitchens make places for runners. These usually range from 2 to 3 feet wide and 5 to 8 feet long. n Bare floors can present safety considerations, and placing area rugs on hardwood or tile floors reduces the chance of slipping on the bare floor. And did I mention that area rugs are very versatile. They can be moved from room to room as the mood strikes you, which gives you more decorating options. So after 10 years, my answer was pretty much the same. Enjoy your tile or hardwood floors, but for a multitude of reasons, buy area rugs for your space. You will not regret the investment. And they will still enhance your space for 10 more years! 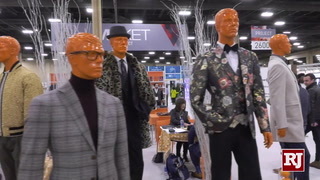 Carolyn Muse Grant is a founder and past president of the Architectural &Decorative Arts Society, as well as an interior design consultant/stylist specializing in home staging. Send questions to creativemuse@cox.net.